INTRASOFT wins DG ENERGY awareness-raising project | Intrasoft International S.A. The two-year contract focuses on energy infrastructure projects that span different Member States; in particular what local stakeholders think of them and how general perceptions can be improved. The INTRASOFT-led consortium will aim to boost public awareness, trust and acceptance in relation to these projects. The consortium will initially examine and analyse the factors driving public acceptance in the EU regarding these projects. 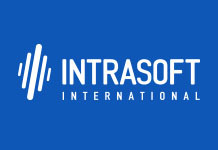 Based on the results, INTRASOFT, in addition to managing the entire process, will then design and implement a multinational communication campaign targeting local societies. The contract is considered part of the EC’s Energy Union strategy and a building block towards the implementation of regional cooperation initiatives. Although better known for its IT and software development activities, INTRASOFT’s Scope Information and Communication department has been active in the field of Information & Communication services to public sector institutions for over 20 years. Scope Communications currently operates from Brussels, Luxembourg and Athens and offers a complete range of digital communication services.